Hawk Hoops baller, Gabby Robinson continues to prove that she is as competitive than the boys and proves it with her play. This 6th grader is not shy when it comes to shooting or trying to get a rebound or helping her team in any way. She is a very coach-able players and it’s a pleasure to see her and her team have success. Congrats Gabby on your player of the week honor and receiving the team MVP trophy. Colton and Chris Willis are brothers who received the team MVP trophy in their last tournament. Colton may be the youngest on the team at 7 years old but he plays with heart and passion on his 9u team. His skill level for his age is phenomenal. His fearless attitude and desire to compete is a pleasure to watch. This is his first time receiving the MVP trophy and Player of the week honor. Chris is a 12 year old playing 13u Basketball. This point guard is a natural play maker that enjoys setting up his teammates for easy buckets! He is a team player with good ball handling skills and impacts the game by using his Basketball IQ and controlling the game tempo. Congrats to Chris for receiving the MVP trophy and helping his team winning the championship playing in the 14u division in their last tournament. 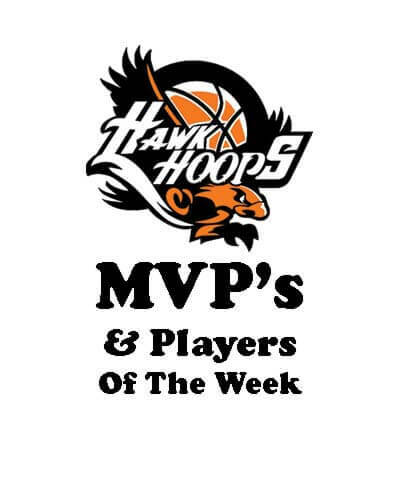 Jathan Lopez – earned his second player of the week honor and second MVP trophy this season by his play, scoring, rebounding, and overall effort on the court. He has really step up his game the last three tournaments showing flashes how good he can be while helping his team play even better. The result has been his team has now made it to 3 straight championship games during their last few tournaments, overcoming adversity as a team. Dane Persek and his 14u White Team has been playing very well in recent tournaments but just as important he has improved in so many ways. He has become a natural scorer on his team, top rebounder and one of his highlights includes a nice throw down dunk on the break over a defender that has been seen on social media! 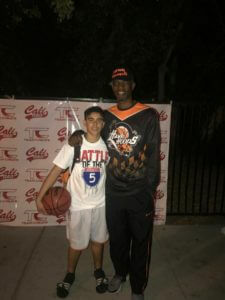 This slender 6 foot 5, 14 year old, 8th grader is improving every tournament and has earned his second MVP award and player of the week nomination. Caleb Simmons and his 11u orange team has made a huge improvement over the last few months. With Caleb’s help his team have now won approximately 11 out of their last 13 games. 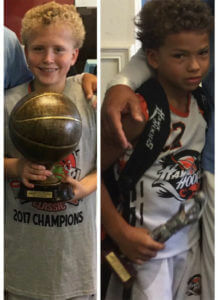 They have been in a championship game in the last three tournaments which is a big accomplishment for him and his team. Caleb’s commitment and love for the game is starting to pay off and it’s exciting to watch him and his team play. 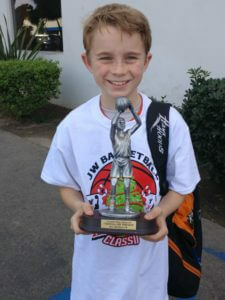 According to his coach his defensive presence and hustle earned him the MVP trophy. Congrats Caleb for also receiving your first player of the week honor. 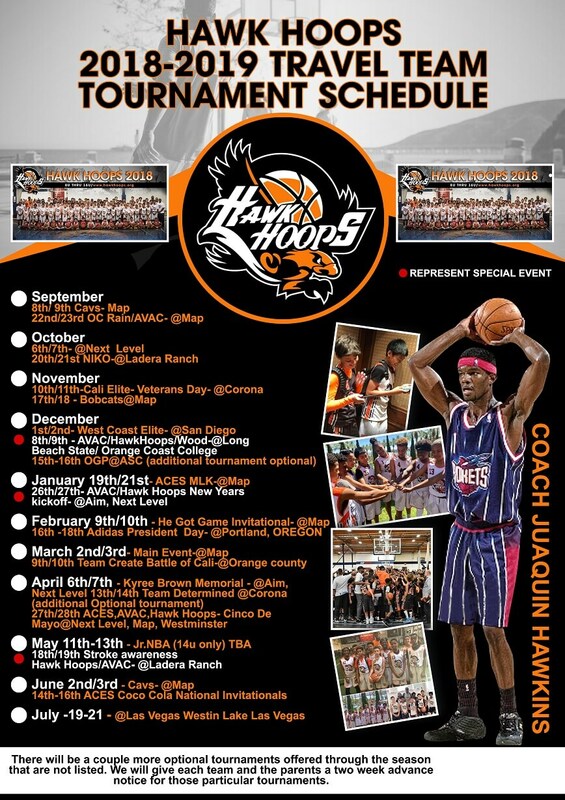 Eric Anya has shown tremendous growth with his play during their last tournament. During the last tournament he was even more efficient on the offensive end by attacking the basket, having success taking good shots and making them. He has been instrumental this season helping his team become more and more competitive which has resulted in more wins. His hard work is paying off and he has earned being name as one of our players of the week. 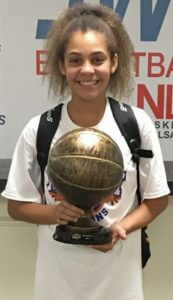 Hawk Hoops baller, Gabby Robinson continues to prove that she is as competitive than the boys and proves it with her play. This 6th grader is not shy when it comes to shooting or trying to get a rebound or helping her team in any way. She is a very coach-able players and it’s a pleasure to see her and her team have success. Congrats Gabby on your player of the week honor and receiving the team MVP trophy. Colton and Chris Willis are brothers who received the team MVP trophy in their last tournament. Colton may be the youngest on the team at 7 years old but he plays with heart and passion on his 9u team. His skill level for his age is phenomenal. His fearless attitude and desire to compete is a pleasure to watch. This is his first time receiving the MVP trophy and Player of the week honor. Chris is a 12 year old playing 13u Basketball. This point guard is a natural play maker that enjoys setting up his teammates for easy buckets! He is a team player with good ball handling skills and impacts the game by using his Basketball IQ and controlling the game tempo. Congrats to Chris for receiving the MVP trophy and helping his team winning the championship playing in the 14u division in their last tournament. Jathan Lopez - earned his second player of the week honor and second MVP trophy this season by his play, scoring, rebounding, and overall effort on the court. He has really step up his game the last three tournaments showing flashes how good he can be while helping his team play even better. The result has been his team has now made it to 3 straight championship games during their last few tournaments, overcoming adversity as a team. Dane Persek and his 14u White Team has been playing very well in recent tournaments but just as important he has improved in so many ways. He has become a natural scorer on his team, top rebounder and one of his highlights includes a nice throw down dunk on the break over a defender that has been seen on social media! This slender 6 foot 5, 14 year old, 8th grader is improving every tournament and has earned his second MVP award and player of the week nomination. Caleb Simmons and his 11u orange team has made a huge improvement over the last few months. With Caleb’s help his team have now won approximately 11 out of their last 13 games. They have been in a championship game in the last three tournaments which is a big accomplishment for him and his team. Caleb’s commitment and love for the game is starting to pay off and it’s exciting to watch him and his team play. According to his coach his defensive presence and hustle earned him the MVP trophy. Congrats Caleb for also receiving your first player of the week honor. 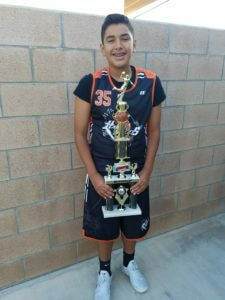 Eric Anya has shown tremendous growth with his play during their last tournament. During the last tournament he was even more efficient on the offensive end by attacking the basket, having success taking good shots and making them. He has been instrumental this season helping his team become more and more competitive which has resulted in more wins. His hard work is paying off and he has earned being name as one of our players of the week.